Spring came, stayed for four days and went again. Back to rain, rain, rain, go away rain come again another day! 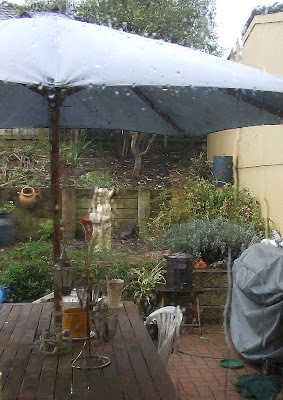 Looking out into my bedraggled and un-springlike garden. Maybe I shouldn't have painted my toes black, maybe I put a hex on spring! A pretty pink might have been more the go I am thinking!